It’s modular and can be used in satellites ranging between 2 to 200 kg. It’s flexible since thruster chips can be placed anywhere on a satellite, in any number. It’s more efficient since it has higher thrust-to-mass and higher thrust-to-volume. It’s much less costly since low-cost automated batch manufacturing is used. In one run, they can make 44 thruster chips. Accion’s major competitor in the realm of small satellite propulsion systems is Busek which has a lead of nearly 30 years more experience. However, Accion has said its design ensures a longer operational lifetime than Busek’s equivalent. Accion has several different variations of ion propulsion engines ready to be manufactured by 2017. All the engines are restartable, throtteable, modular, and fully scalable. The actual engine is only as large as a penny. 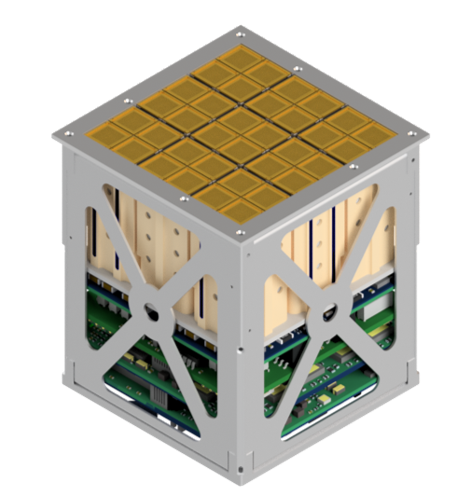 The MIN-0 is designed for Cubesats and small satellites. 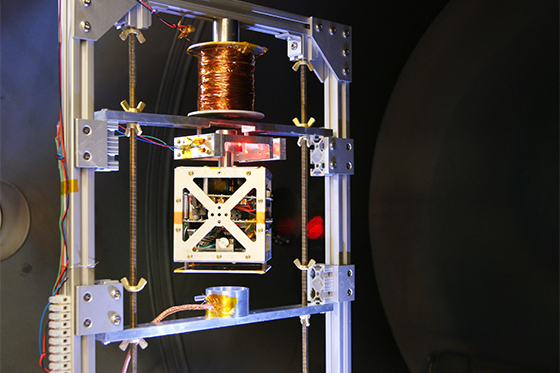 For a 25 cubic centimeter device, it can produce 10 Newton-seconds of impulse. The MAX-1 small satellite electric propulsion system has a standard size covering a third of a 1U (10 x 10 x 11.35 cm) CubeSat which can provide 100 Newton-seconds of impulse. MAX-1 can also come in custom designs including linear thrust plus attitude control or in-stack pure atittude control. The TILE satellite electric propulsion system currently available for pre-order on their website is a 1U grid which can provide 5400 Newton-seconds of total impulse. Accion was founded by two MIT graduates, Natalya Brikner and Louis Perna, both of whom have been recently named to Forbe’s 30 Under 30 list. Natalya is the CEO and main founder of Accion Systems. At MIT, she co-invented the core technology that would become Accion’s first product line. Prior to MIT, she developed a new chemical rocket that spun into a space startup. Natalya’s co-founder Louis Perna was a perfect match. At MIT, he commercialized the ion electrospray technology that Accion would later adopt. Prior to Accion, he worked at different NASA centers where he researched ion engines and designed planetary exploration robotic systems. What is the future of Accion? The future seems bright for Accion. Last year , Accion was named by Fortune Magazine as the most likely to become a billion dollar company at the annual Brainstorm Tech Conference. The company first raised $2 million in seed funding, then $7.5 million from partnerships with the Department of Defense, and most recently $7.5 million in Series A funding led by VC firm Shasta Ventures. As of February 2016, Accion has signed agreement with three partners — one government and two commercial customers. Miniature space propulsion which has a long time holds much promise in the burgeoning small satellite market. Further flights with commercial clients would ensure this technology lives up to its potential.